Happy Monday out there! 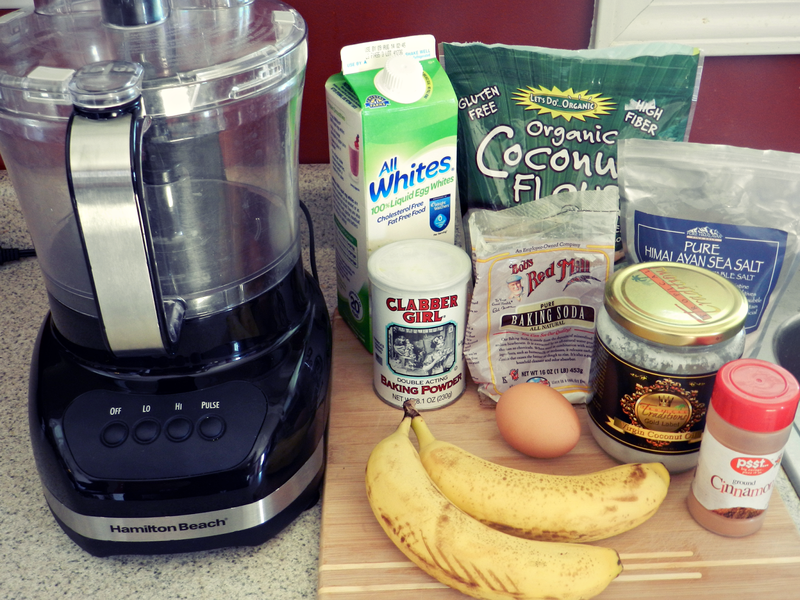 Today, as promised, I'd like to share my Paleo Banana Pancakes recipe. I've tried lots of Paleo and gluten-free pancake recipes, but a lot of them didn't turn out quite right. Until I found a recipe on Instagram from Jewell_TIU. I don't know where she got her recipe, but I tried it and they turned out all right. 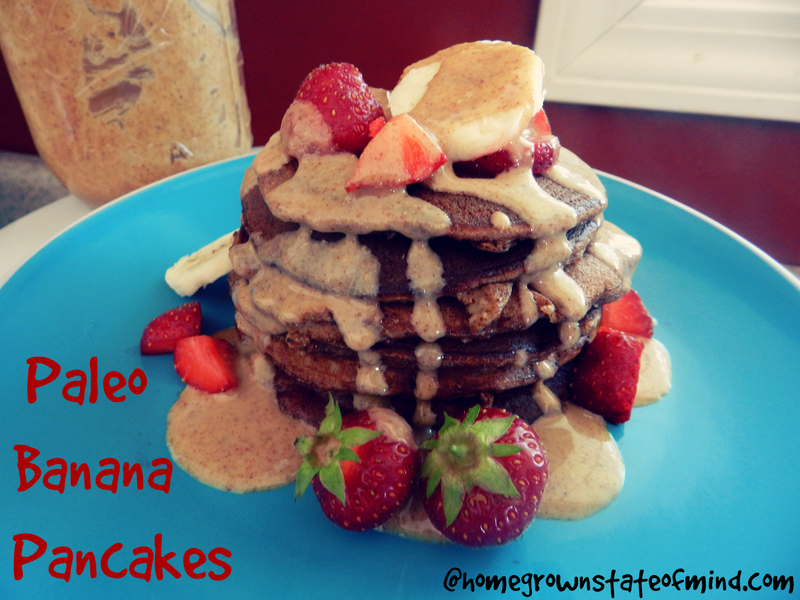 I modified some things and added some ingredients to suit my tastes, however, and thus my Paleo Banana Pancakes recipe evolved into something I make at least three to four times a week. They taste just like banana bread, and have a similar texture. And even if you don't follow the Paleo diet, trust me, you'll love this clean recipe. You'll need bananas, eggs and egg whites, coconut oil, coconut flour, baking soda, baking powder, sea salt and cinnamon (recipe is at the bottom). I mix the ingredients in a food processor, or sometimes in a bowl with a hand mixer. I've found it works best if you cream the bananas and melted coconut oil together first. Then add the rest of the ingredients. The batter will be a tad thin - but it does thicken up when cooking. I preheat my griddle on high heat for a few minutes, then set it on medium heat when ready to cook pancakes. For me, these always turn out better if I make them on the smaller side - 3 to 4 inches in diameter. When cooking, the pancakes will bubble up around the edges and middle - this is the sign to flip. It usually takes 3 to 4 minutes on one side. Once flipped, they only need another 1 to 2 minutes until they're done. I'm not a fan of maple syrup - weird, I know. So, I usually mix up a little organic peanut butter, or almond butter, and some coconut oil and pour it over these pancakes. It's delicious! Fruit is my favorite topping, as well, such as strawberries, bananas, blueberries, raspberries, etc. But you could really put anything on these. I hope you try it and enjoy this recipe as much as I do! 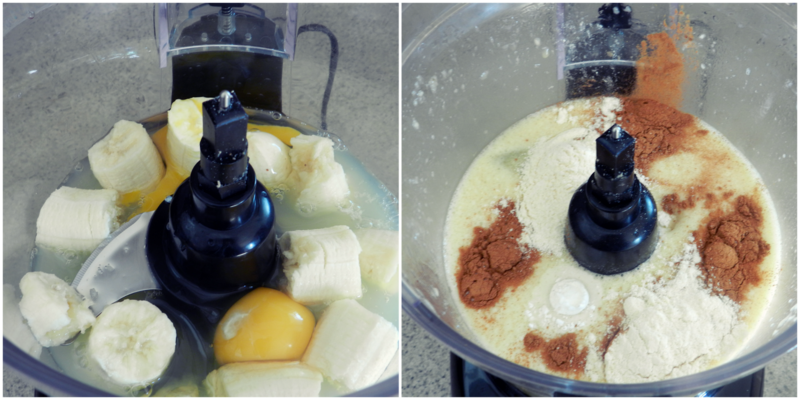 Blend melted coconut oil and bananas in food processor (or with mixer). Add in all other ingredients until well incorporated. Preheat griddle/skillet and brush lightly with coconut oil. Pour batter in 3- to 4-inch circles. Cook for 3 to 4 minutes, or until edges and middle bubble up. Flip and continue to cook for 1 to 2 minutes. Do you have a favorite go-to pancake recipe? Ok, I will definitely be trying these. They look so good! 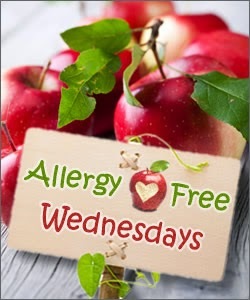 I love finding good healthy recipes :) Thanks for sharing! Oh these pancakes look so delicious!! Love this healthy spin on pancakes, my husband would LOVE this! How fancy! Those look delish! Thanks for linking up! 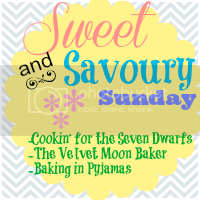 Such a yummy recipe and everyone can eat it! Our family has been loving bananas lately too, so this would appeal to all of us. 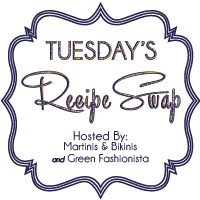 Thank you so much for sharing with us at Delicious Dish Tuesday! These look pretty good. I've been wanting to try some clean pancakes, and these look pretty good. I've never used or bought coconut oil or flour though, makes me a little nervous! Thanks for sharing at DDT! These pancakes would make anyone wake up with a smile on their face! 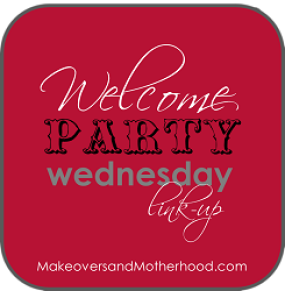 Thanks so much for sharing on Makeovers & Motherhood's Welcome Party Wednesday Link-Up! Featuring you this week! These sound good. Thanks for sharing. Hello from Welcome Party Wednesday!